On Day Three of Canada Reads, Greg Johnson announced: "I'm putting my money where my mouth is." Although his book is no longer in the running for Canada Reads 2018, storm chaser and panellist Greg Johnson still wants to do his part to spread the messages of understanding and inclusion. 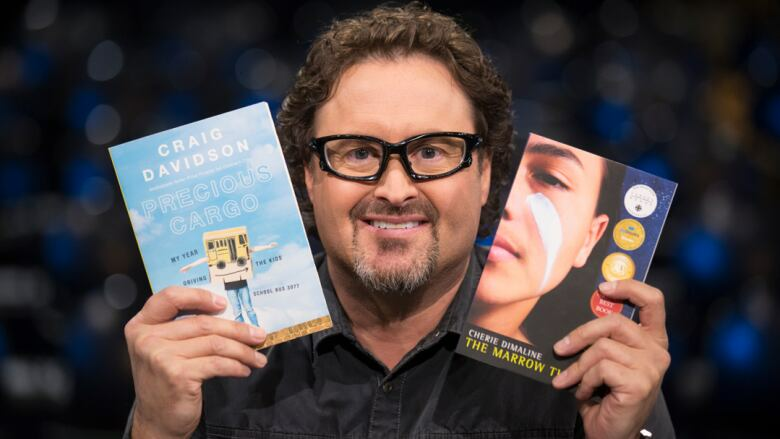 Live on Canada Reads Day Three, Johnson announced that he will be doing a book giveaway for two lucky Saskatchewan schools. Campbell Collegiate Institute in Regina, Sask., which Johnson's daughter Olivia Johnson attends, will receive 25 copies of Craig Davidson's memoir Precious Cargo. The book recounts the year the author spent driving a school bus for students with special needs. Johnson also announced that Dene High School in the northwestern Saskatchewan community of La Loche will receive 25 copies of fellow Canada Reads finalist Cherie Dimaline's The Marrow Thieves. The dystopian YA novel is centred on a surrogate family of Indigenous people being chased through the wilderness for their bone marrow. "I was also deeply affected by The Marrow Thieves. The theme of Indigenous youth being positioned as heroes is something we need to see more of in Canadian literature," said Johnson.